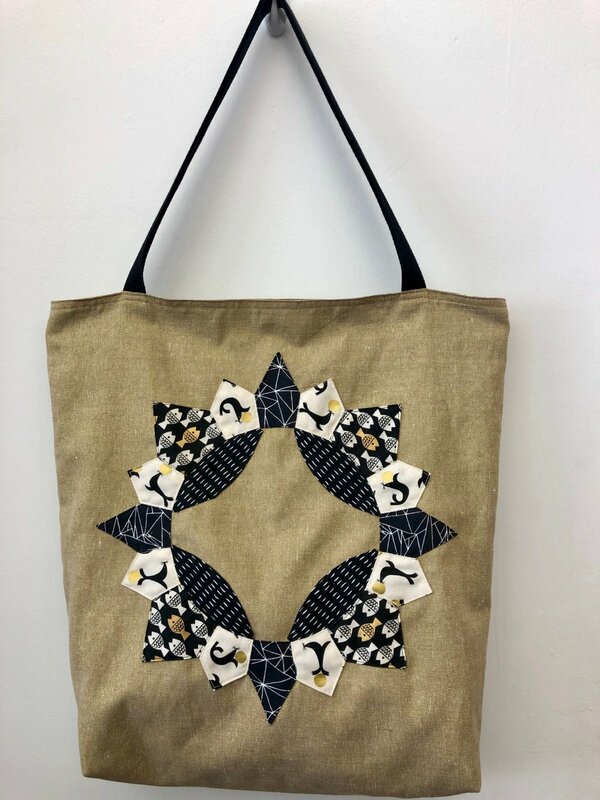 You’ve had a month to finish your Brimfield, now it’s back to Sew Together to learn how to make your fantastic Brimfield block into a super cool and useful tote bag. We’re going to make a lined tote with cotton webbing straps and a boxed bottom. This will be a beginning class so don’t be intimidated! Your Brimfield Block that has been appliqued to the background.